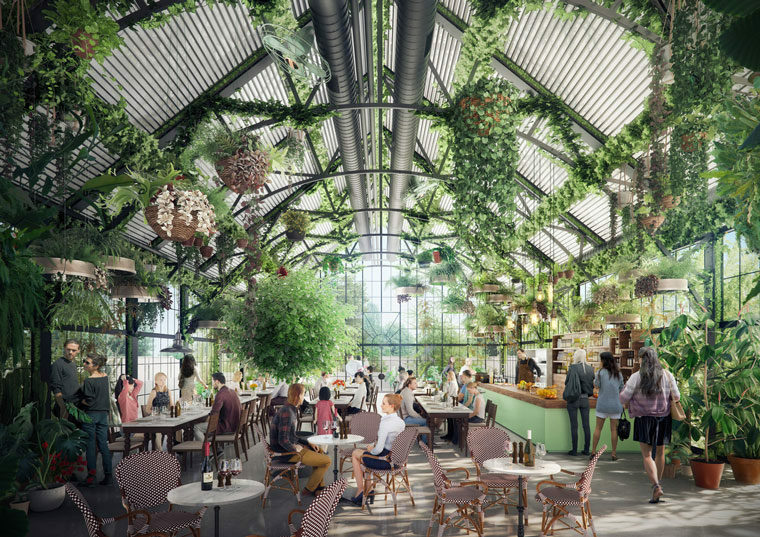 The Burwood Brickworks retail centre, designed to be the world’s most sustainable shopping centre, has revealed it will house a 2000-square-metre urban farm and restaurant on its roof. Teaming up with environmentalist Joost Bakker on the project, building developer Frasers Property Australia is now calling for expression of interest from tenants wanting to take over the rooftop space. 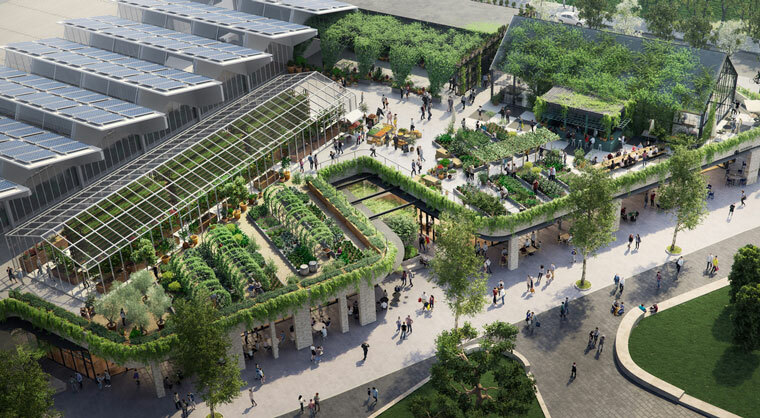 Last year, Frasers executive general manager, retail Peri Macdonald revealed to The Fifth Estate intentions to create an urban farm that would be a financial boon for the developer. The farm is part of meeting the requirements of the stringent Living Building Challenge, the first retail development in the world to attempt such a feat. Mr Macdonald on Wednesday said the company was now ready to talk to “unique food and beverage providers” interested in leasing the space. “This is an Australian first that will completely reconsider how food is sourced and provided by retailers,” he said. While design is still at concept level, it is expected to include a glasshouse of about 800 sq m, landscaped grounds of 1000 sq m and a co-located restaurant/cafe/event space of 350 sq m.
“The aim is to create an internationally recognised agricultural project on an urban scale unprecedented in Australia, promoting sustainability through fresh produce, education and events,” a Frasers statement said. “It will strive to strengthen the link with nature and reconnect people with the food they eat. Mr Bakker, who was appointed creative consultant for the rooftop design, praised the positive vision for the space. “Frasers is seeking to reinvent the way we think about sustainable, mixed-used developments and food sourcing,” he said. He said the farm would also employ technology to minimise energy use. “I’ve really enjoyed helping Frasers to envision how such a bold concept can transform the way we think about food production and consumption,” Mr Bakker said. Construction is set to begin in mid-2018, with the 12,700 sq m retail development expected to open in late 2019. There will also be a residential component to the Brickworks site, including parklands and a civic plaza. Interested parties can express interest here.